When you moderate a content source, any stories pulled in from that source will populate in your queue for approval (or rejection). 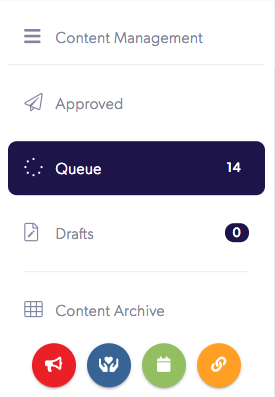 Your queue also houses all drafts that were created in Cerkl. Pieces of content can be in only one of three states (Drafted, Queued, or Approved). To view your queue, go to the Content Manager > Queue. Any pending stories can be viewed here. Here you will have the ability to approve content so that it can be sent out to your subscribers in their automated newsletters. You have the power to Approve, Delete, Edit, and View all from this page. 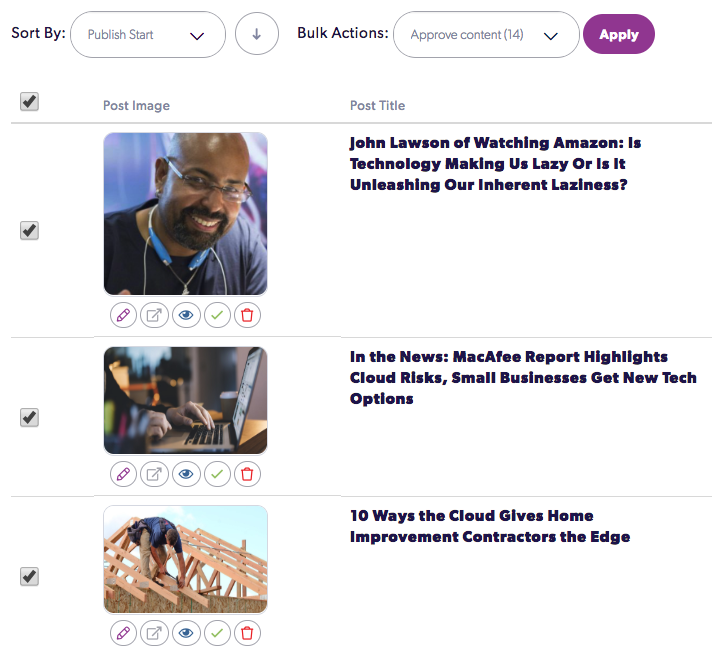 You can also perform bulk actions in order to approve or delete multiple pieces of content at the same time. Just like in Insights and throughout our platform, don't forget that you can use the Filter or the search bar in the top right in order to narrow your results. As a best practice, we recommend that you frequently check your queue. But if you happen to forget, that's okay! If there are new items in the queue, Cerkl will send notifications to Owners and Moderators once 12 hours have passed since the last notification.